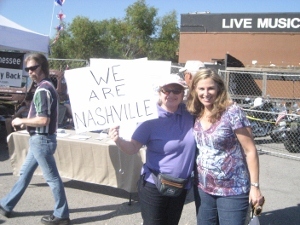 National and local Tea Party groups as well as concerned citizens from numerous states as far away as California came out in force today in Nashville, TN at the Scoreboard in support of Gibson Guitar and the overreaching abuse of power shown by Obama’s administration. 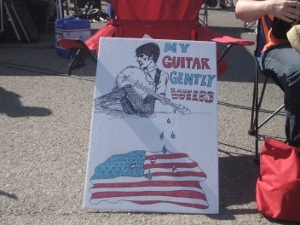 Is there anything more American than Gibson guitar? What really is the reason why they would be stormed by armed federal agents like they were a Mexican drug cartel? 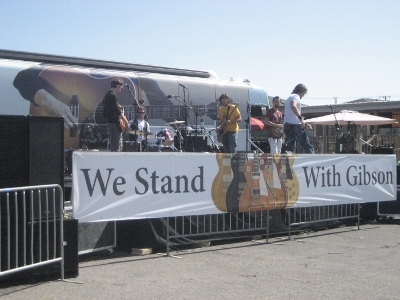 All over wood … “We Stand with Gibson”. 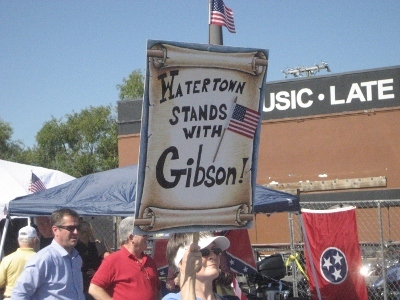 The “WE STAND WITH GIBSON” rally included music with Grant Austin Taylor, Madison Rising, Rivoli Review and Christa Branch, local talk radio personality Phil Valentine and Mark Skoda, Amy Kremer of the Tea Party Express, Ben Cunningham of the Tennessee Tax Revolt and US Representative Marsha Blackburn (TN-R). 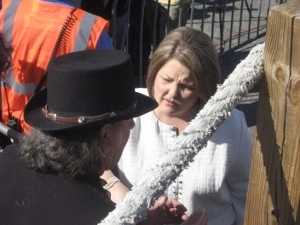 During Amy Kremer’s comments on stage, the chairman of Tea Party Express told the crowd that Obama and the feds had their priorities wrong. Some thing new and unusual for Obama and the gang that couldn’t shoot straight. 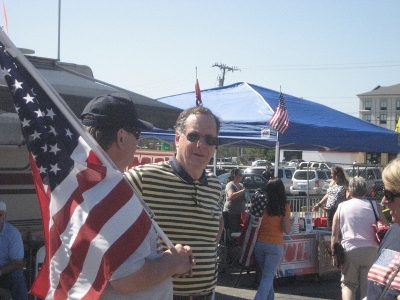 I had a great conversation with Amy regarding what the Obama and his minions have done since they were elected in 2008 and the need for all to get out and vote in 2012 and end this Obama presidency and the damage that has been done to the US. 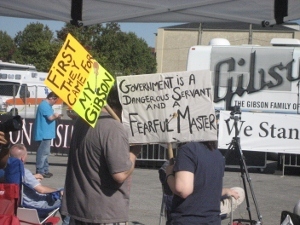 First they came for my Gibson … what’s next? 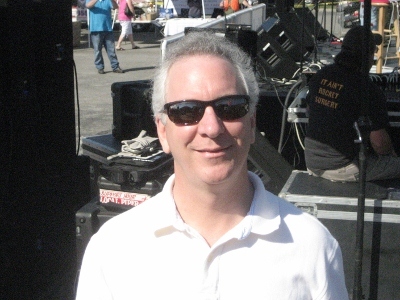 Ben Cunningham of the Tennessee Tax Revolt – If you have never heard Ben speak about the abuses of an overreaching government … you have really missed out. 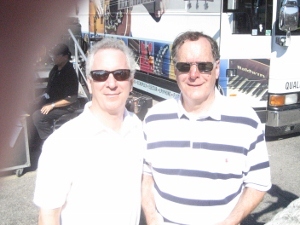 Gibson CEO Henry Juszkiewicz thanks the crowd to thunderous applause!!! More pics at Nice Deb. UPDATE I: Gibson Guitar CEO slams U.S. raids as “overreach”. 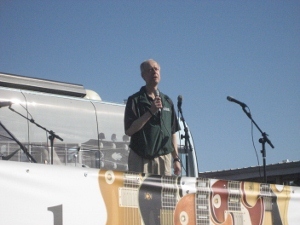 “Armed people came in our factory … evacuated our employees, then seized half a million dollars of our goods without any charges having been filed,” Gibson CEO Henry Juszkiewicz told reporters and others at a Washington lunch. “I think it’s a clear overreach,” he said. 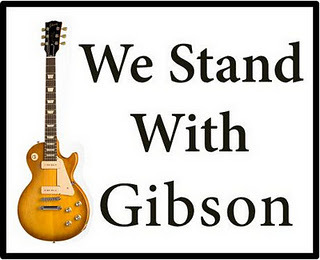 WE STAND WITH GIBSON … the rally to support Gibson Guitars is today at the Scoreboard Restaurant & Sports bar in Nashville, TN. Come out and support Liberty & Freedom … first it was Gibson, tomorrow it could be you. SATURDAY, OCTOBER 8 AT 1PM CST WE’RE WEBCASTING THE FULL RALLY LIVE! 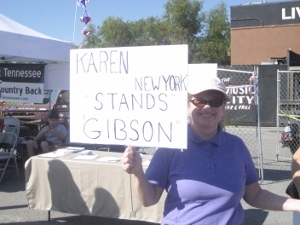 JOIN US AND STAND WITH GIBSON! The Speakers at the event, among others. Come out and support Gibson Guitar against the over reaching Obama government that would storm a US company with guns a blazing over wood and the Lacey Act. 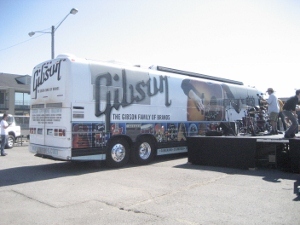 Federal agents first raided Gibson factories in November 2009 and were back again Aug. 24, seizing guitars, wood and electronic records. Gene Nix, a wood product engineer at Gibson, was questioned by agents after the first raid and told he could face five years in jail. Mr. Nix hasn’t been accused of any wrongdoing. He couldn’t be reached for comment.